Whew…what a week it has been. For my Medtronic partners and friends, “Cheers to finishing FY11 Q1! We did it!” It’s time to kick up our heels for the weekend and indulge in a cold tasty libation (or 2 or 3 or 4)! And to all the rest of you who put in a long week, this one is also for you. 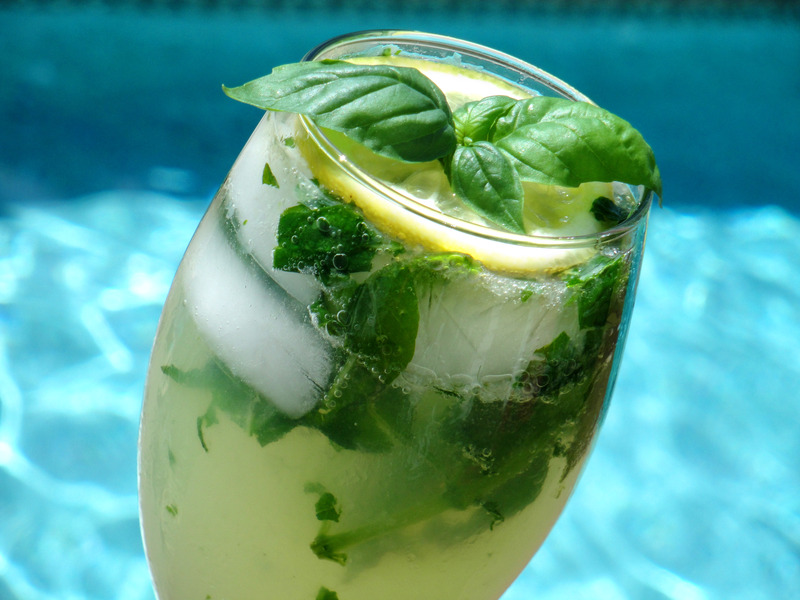 Today I share with you my new favorite poolside refreshment. Don’t get me wrong, those Red Wine Spritzers are still tied for first place…but this new concoction my husband worked up is amazing! Serve in high-ball glass, water glass, or even a pint glass! Lightly muddle the basil, sugar, & lemon juice in the bottom of the glass until the sugar is dissolved and leaves are fragrant (even more so than when you placed them in the glass). Add enough ice to fill ~half of the glass. Fill with 1.5 shot vodka (or more if you like…this one hides it well!) and 3-4 parts lemonade. Top with 1 part diet 7Up. Stir Vigorously from the bottom-up. 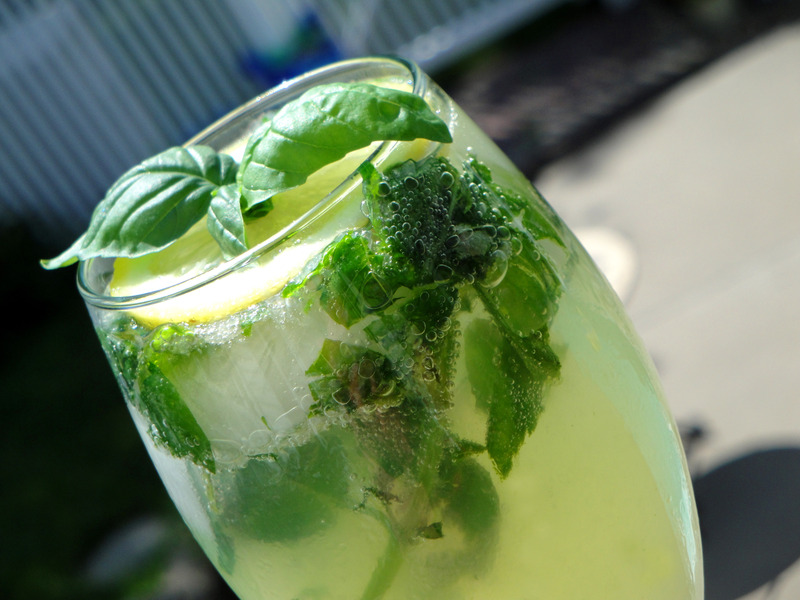 Garnish with a slice of lemon and a basil sprig! Ahhhh. Refreshing. A beautiful summer weekend is in store & we’ve earned it. ENJOY!